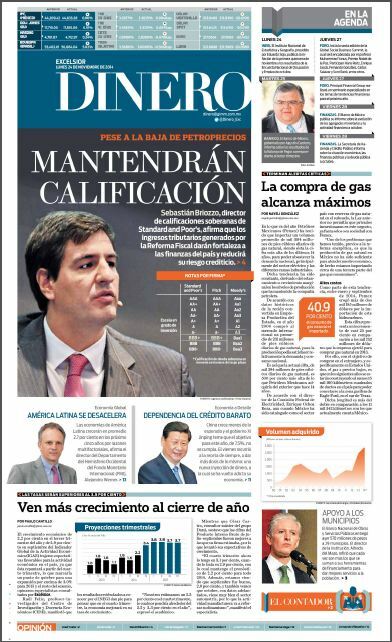 I’m delighted to have been featured in one of Latin America’s leading daily business journals, following an interview with Mexico’s Excelsior newspaper last month. The interview, conducted in late October covered some of the latest innovations in technology that are being taken up by brands eager to cater to Millennial travellers and how these may affect the development of the travel industry in Mexico. 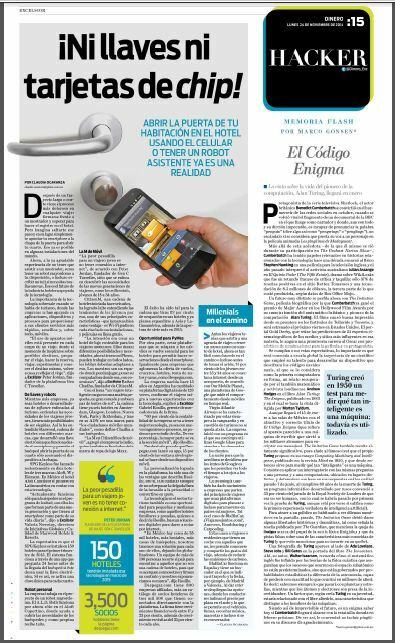 ‘Ni llaves ni tarjetas chip’ (No keys or chip card’) published on 24 November in Excelsior Money’s print and online versions and highlighted examples of the latest tech use such as keyless room entry by major hotel brands such as Starwood and Citizen M. Given that the smartphone is now present at every step of the young person’s journey, it’s a logical step for these chains to make. I also discuss with Claudia Ocaranza the changing psychology of young travellers and how this in turn is driving other changes in the accommodation industry. As Maria Fonseca at Intelligent HQ puts it, ‘Gen C is a generation that, regardless of the age group prizes connectedness as one of its main values’. It follows therefore, that not being able to connect to the internet causes many young travellers to break out in an anxious sweat. To help answer that, and to help ensure that Mexico’s more than 35,000 small and medium-sized hotels and hostels can keep up with the digital race, the article also discusses the latest innovations by the Argentinian web support and marketing company Despegar.com as well as giving predictions as to what’s coming up in the near future.